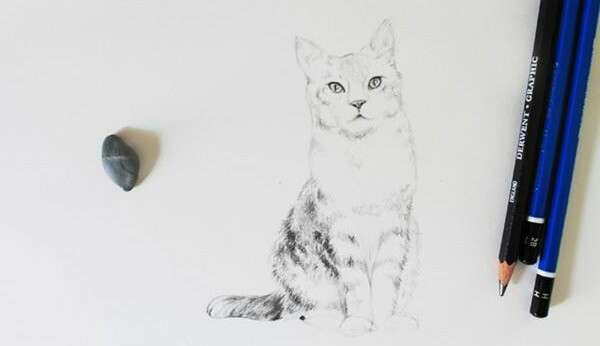 How to learn to draw the full picture of the pencil? the Best material for the beginner artist's pencil. As it is easy to wash, can not be afraid to spoil the picture. All the bad contours and parts can be wipe with an eraser and work on. In addition, picture a simple pencil look not less advantageous than painting colors. a Simple pencil - simple stuff? to Draw beautiful isn't everything. To look good, you need to draw more and correctly. For this you just need to get a few lessons on drawing with a pencil. Do not rush to enroll in various art studios or expensive workshops. The basics of drawing, you will be able to study independently. Now the Internet has a huge number of free video lessons, intensives and tutorials in this subject. Everything else depends on practice and more practice. After you have found a suitable drawing lessons pencil, do not expect a quick result. As with any training, you will need to put a lot of strength and perseverance. Do not ask too much, at least at first, and do not handle complex. Before you begin to paint the picture of a pencil, tamp hand on the most simple things such as lines and geometric shapes. It is from combinations of different shapes and consists of any object. the Answer is simple - start with the purchase of materials for the job. Pencils come in several types. First, they are divided into artistic and office. Second, they have different markings, that is, different hard-soft. Hardness is indicated by the letter H on the pencil, and softness with the letter V. the Number before the letter indicates the degree of softness or hardness. You can purchase a set of art pencils, but the most convenient to start with would be the pencil marking HB. He is the most neutral of all, and working them, can not be afraid to permamnet pattern. Right choice of paper also affects the quality of your drawings. It should be tight and not too loose. Normal office paper is better not to use it. It is very thin and smooth. 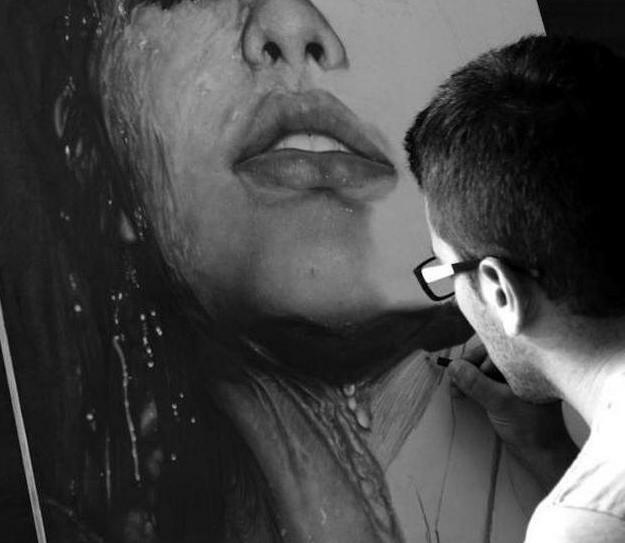 Pencil is lubricated, and a desire to draw you after such paper can dramatically abyss. Even such a simple thing as eraser, plays an important role. They, too, are professional, office and baby. Needless to say that your choice should be in favor of the professional. once you will be confident to draw lines and shapes, you should learn the song to harmoniously arrange the objects on the sheet, hatching and shading to give the objects volume. To develop the concept of volume will draw three-dimensional geometric figures, preferably from life. Of course, a little one lying around the house plaster cubes and cylinders, so take any subject, any form. It can be any box or even a computer speaker, cans of spices or tea, Apple and so on. Main thing when drawing - very carefully examine the object and try to depict it the way you see it. Special attention should be paid to pencil hatching. The bar runs jerky thin lines close to each other and in the same direction. They can be horizontal, vertical, diagonal. With their help it is possible to pass the volume, chiaroscuro, texture of the object. If the beautiful touches will not happen, you can try the option of feathering. 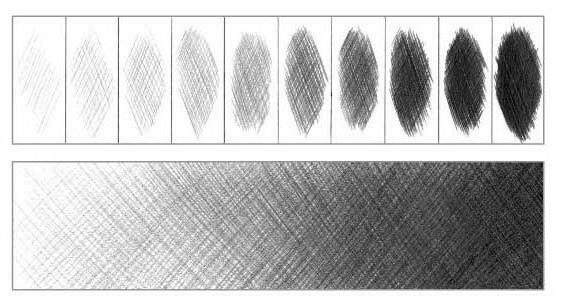 It is possible to achieve smooth black and white transitions, which looks very nice in the pictures in pencil. It is this: first, the drawing strokes are applied, and then a cotton swab or a soft piece of paper pounded. Fingers better not to grind, or may appear greasy stains. When this line is best to cross-apply, and feather to do from top to bottom. 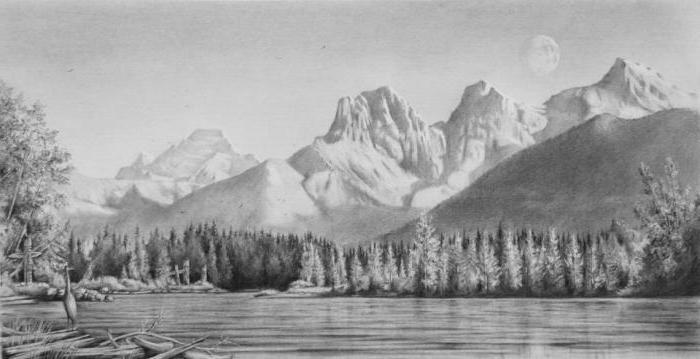 When you master the technique of drawing on an acceptable level, you can choose the genre in which you will create paintings in pencil. Landscape, for example, a very attractive option and not as complicated in execution, as a portrait. Success in this depends more on imagination than strict adherence to the proportions. Although it requires basic knowledge about the prospect. portraits, the situation is more complicated. I'll need to learn the basics of anatomical drawing and facial proportions. But do not be afraid of these words, it is not so difficult as it seems at first glance. The main thing is to learn the basic principle of the structure of the person and the practice. Man is the most complex object in the drawing, so don't give up after the first unsuccessful portraits. If you want to paint portraits from life, then do not start with a drawing of their family or friends. Start with the image itself. If you find it difficult to draw yourself in the mirror, take photos and work on photos. Following your models can become any photos of people on the Internet. Develop and improve your skill and eventually achieve good results. do Not ignore the image of animals. In structure they are no less complex and interesting than the man himself and the animal world is huge and diverse. 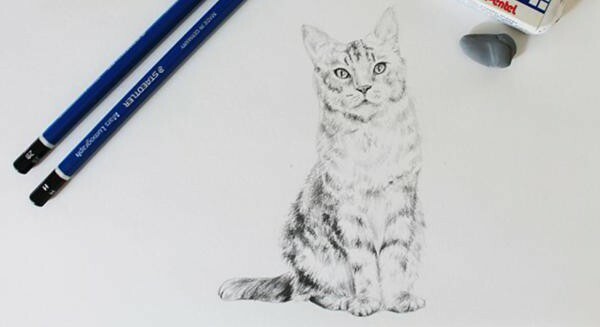 Here is a small example of how to draw animals in pencil. If you have a pet, take a picture of it and use as a model. If not, you can take any photo on the Internet. Start with a General outline of the animal, denoting a simple form and posture. 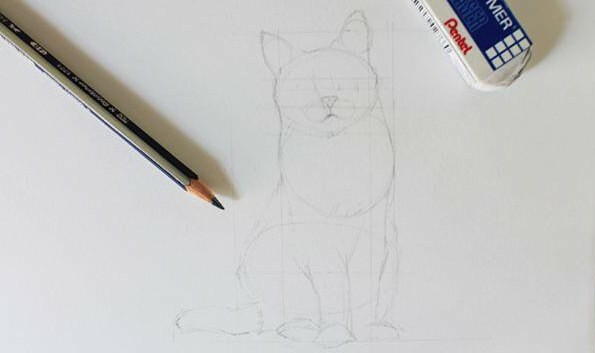 After you make sure all the proportions are met, you can apply a light pencil stroke. Keep stroking, most intensely in the darkest of places. 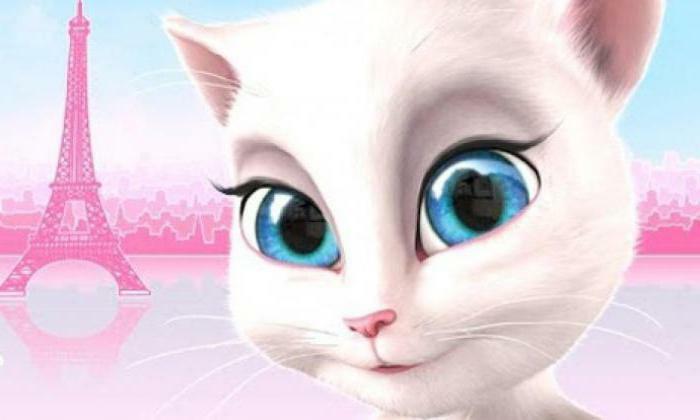 Your task as accurately as possible to portray the cat hair. Next, proceed to eyes carefully studied the peculiarities of the pupils. That hand won't accidentally smear the lower part, put it on a clean piece of paper. Don't forget about the glare in the eyes that give them liveliness. Keep working, clearly denoting the bright and dark areas. You can lightly shade some areas, especially on the face, to make the transition from light to shadow is more gradual. Finally I would like to mention some of the giants in this field, whose pictures are drawn in pencil, cause only one question: how do they do it? 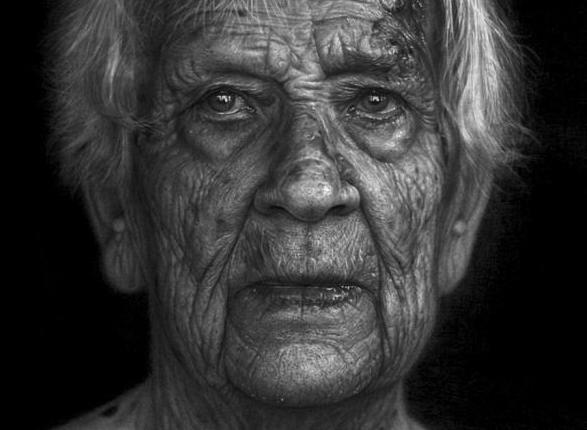 Among them is Dirk Dzimirsky, German artist, painting highly detailed portraits in pencil. Or, for example, Diego Fazio, an Italian, who, unlike Ziminskoe has no artistic education. However, his paintings pencil never tell from the photos. There are a lot of artists, whose works you can learn something useful in terms of technique or story. This applies to both modern and old masters.